7km Fantasy track around the town of Iriana made with BTB. Just a personal project and since sharing is free, there you have it. Bit heavy on frames, but lots of details. Working AI, lights for night racing etc. There are 2 versions, sunny and fog (courtesy on Vicentsollana of tpavirtualracing.com), just drag to your locations folder. It is a fantasy track created by me, using the xpacks available on the internet, so thanks a lot to every one who cared to share. There are currently no setups for Iriana Raceway 2011. Add a Setup. Really enjoying this track...it's beautiful, the layout is fun, and the elevation changes are excellent. The track is a bit FPS heavy but I'm still hitting 100+ fps in sections of the track driving by myself. My only gripe, a small one really, is that the spectators look really crappy and flat. This especially stands out because the rest of the track is very well textured. 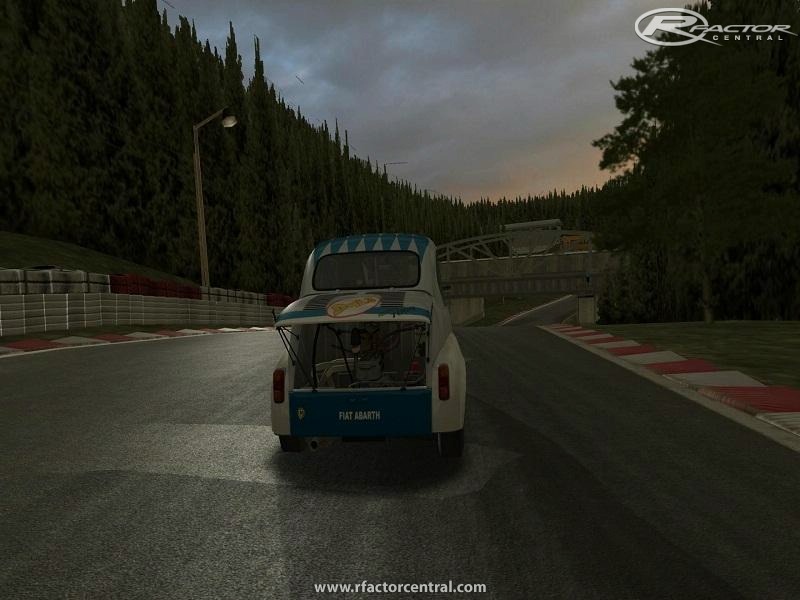 There are so many tracks on the internet available for rFactor, I can't try them all. So I must make a choice. My choice: no fantasy tracks, except when it looks like they have something special. After seeing this track on youtube I thought let's give it a try. This one is very special. One of the best tracks I've seen for rFactor! For everybody who likes the Nordschleife but consider it a bit to long to master, this one is a great alternative. Not only the track is great, it also looks great in rFactor.